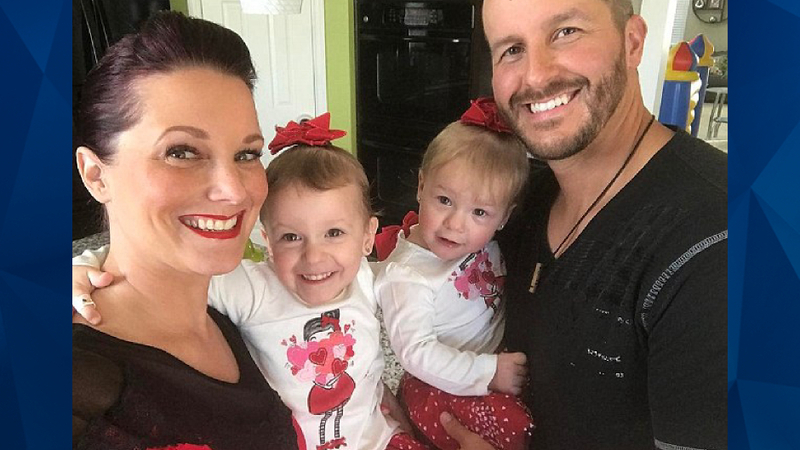 PINEHURST, N.C. (AP) — Shanann Watts will be remembered as a “woman of love” and her two young two daughters as being filled with life and joy, a priest said Saturday during a funeral service for the slain Colorado family found at an oil work site. The hour-long service in Pinehurst, North Carolina, included no reference to 33-year-old Christopher Watts, the husband and father charged in the killings. Police say he killed his 34-year-old pregnant wife and their daughters, four-year-old Bella and three-year-old Celeste, inside the family’s suburban Denver home then dumped their bodies on his former employer’s property. During the funeral at a Catholic church, Father John Forbes read comments aloud from Shanann Watts’ father, mother and brother. Watts is from North Carolina; the couple moved to Colorado shortly after they married about six years ago. Forbes said the victim’s mother, Sandra Onorati Rzucek, described Shanann as a “fireball” and asked God to “give all our love” to her daughter and grandchildren. “Mom, Nonna, loves you with all her soul,” she wrote. Forbes said Shanann Watts’ family would like to see good come from the tragedy, including a law to recognize the lives of unborn children such as their grandson. “They do not desire vengeance and death, but justice and life,” Forbes said. Family members have said Shanann Watts was pregnant with a boy who she planned to name Nico. Colorado is one of 12 states without a law broadly allowing for homicide charges in the violent death of fetuses. Prosecutors have charged Christopher Watts with murder and other charges, including unlawful termination of a pregnancy, a felony. A friend asked police on Aug. 13 to check on Shanann Watts and her children after she could not reach them via text or phone. Police searched the family’s home in Frederick and found Shanann Watts’ purse and phone still there. Christopher Watts remains in a Colorado jail without bail and has not yet entered a plea. During interviews with television stations before his arrest, he spoke about missing his family. Prosecutors have said the girls’ bodies had been submerged for days inside a tank holding crude oil and their mother was buried in a shallow grave. Authorities have said Christopher Watts told investigators that he killed his wife because she had strangled their daughters after he told her he wanted to separate. Prosecutors charged him with killing all three family members.